August 2018 – We are currently recruiting to the alto, tenor and bass sections. Please come along to a rehearsal just to sit in and see how you like it. We are a friendly crowd and will make you really welcome. 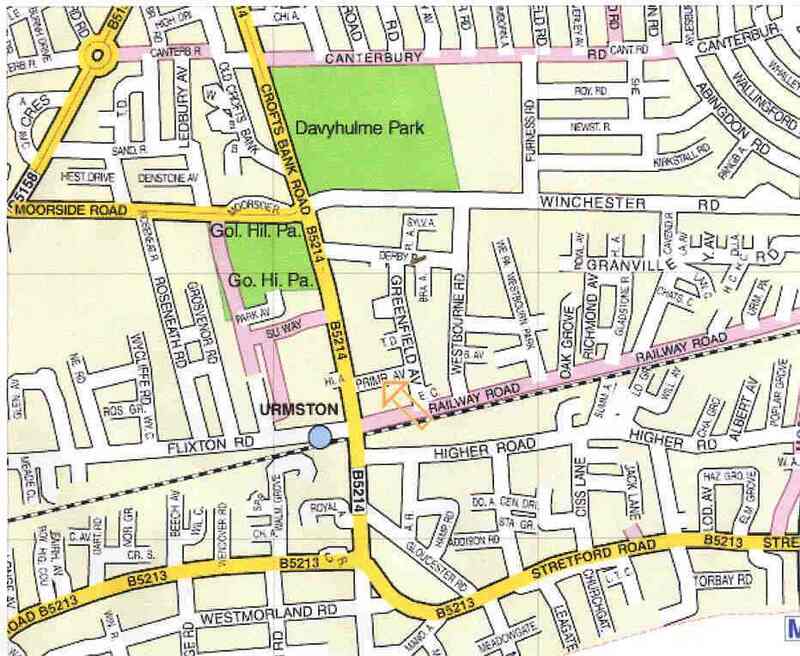 The choir meets for practice on Wednesdays from 7.30 – 9.30 p.m., at Greenfield Church, Primrose Avenue, Urmston, Manchester, M41 0TY. We are a real community Choir – and welcome new members from aged 16+ years. We are truly inter-generational with a good mix of choral singing experience. Auditions not required. This demonstrates the dedication and commitment to learn often very challenging pieces by ear. Wide musical repertoire – ranges from classical pieces (ie Vivaldi’s Gloria, Handel’s Messiah and opera choruses toWest Endmusicals, Beatles’ hits and traditional folk music, etc). 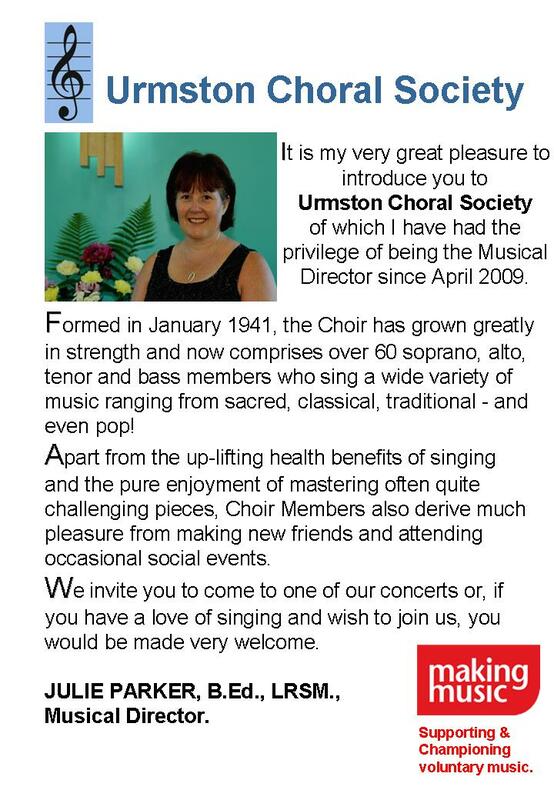 People come from all over Trafford and surrounding areas to be in Choir. Emphasis on having fun is a major factor in Choir’s philosophy, although they take their singing very seriously. Everyone aims to be the best they can be. Music, especially choral singing, is very uplifting and energising. Choir members are given practice CDs for rehearsal purposes to help them learn new pieces of music if they wish. Good way to expand social circle and make new friends. The Choir also occasionally organizes social events including meals out, theatre trips, etc. The Choir performs in churches, schools, care homes, etc and have taken part in the Flixton Folk Festival for the past few years and sing Christmas Carols annually at The Trafford Centre in December, raising money for local charities.